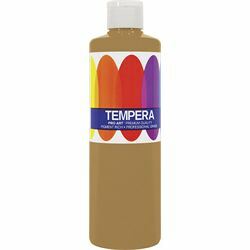 Opaque, nontoxic premium grade tempera paint in a range of brilliant intermixable colors that provides maximum coverage with minimum application. Dries to a velvety matte finish. Nonbreakable packaging.